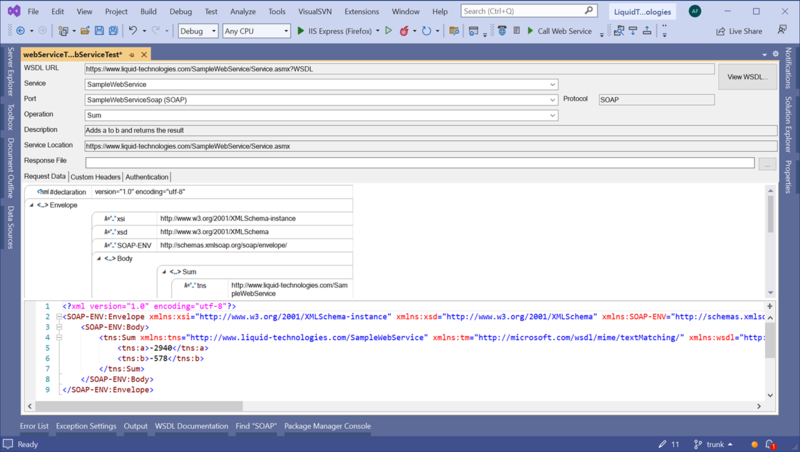 Graphical XML Schema (XSD) Editor. Graphical JSON Schema Editor. Graphical WSDL Editor. Web Service Test Client. XPath Results Viewer. 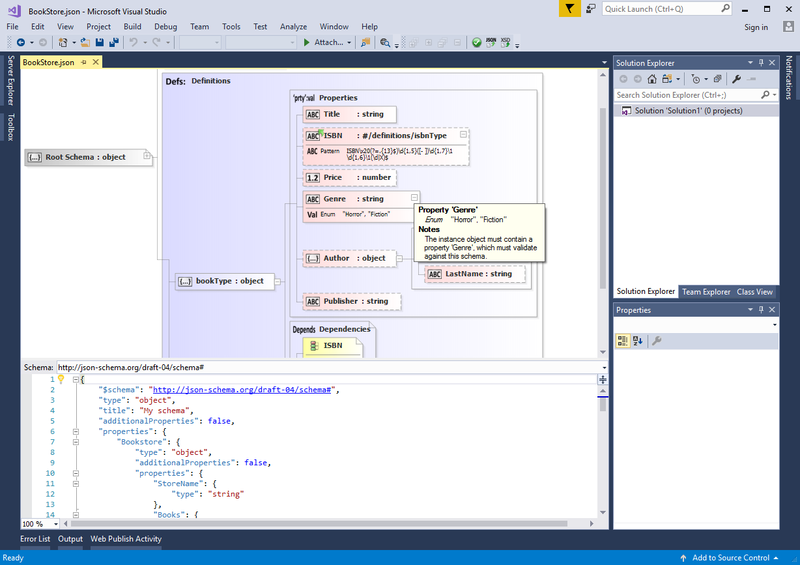 The XML Schema Editor can be used within Microsoft Visual Studio providing the same rich editing environment you get from Liquid Studio (https://www.liquid-technologies.com/xml-studio). The standard Visual Studio properties windows are used to make it possible to view and edit the detailed properties on any item in the diagram ensuring a familiar environment for Visual Studio users. View and edit annotations (schema documentation) for the selected schema item. These comments can then picked up by other tools, XML Editors, Validators, XSD generated documentation etc. This window shows all the root/global objects defined within the schema (and its children). Double clicking on an item takes you to the definition, even if its in another file. The extension includes all the normal features you have become used to in Visual Studio, integrated find & replace, cut & paste, drag & drop. As well as file change notifications, and printing etc. 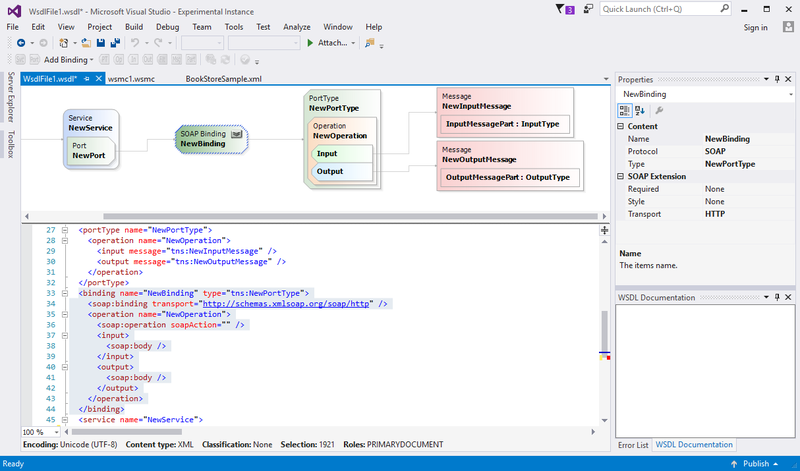 This powerful graphical JSON schema editor integrates into Microsoft Visual Studio providing the same rich editing environment you get within Liquid Studio. The standard Visual Studio properties windows are used to make it possible to view and edit the detailed properties on any item in the diagram ensuring a familiar environment for Visual Studio users. 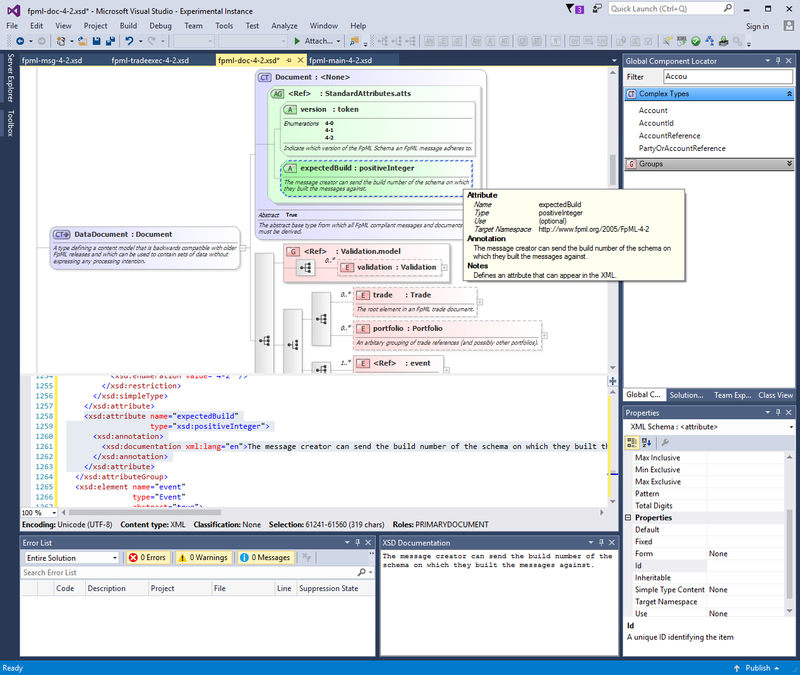 The WSDL Visual Studio Extension allows WSDL 1.1 and 2.0 documents to be viewed and edited within the Microsoft Visual Studio Environment. The WSDL file can either be edited via the graphical editor or in the code view. The split code/model view keeps in sync as edits are made. The XPath Expression builder is an additional tool window that binds to the active XML editor. The XPath expression in the tool window is run against the data in the XML Editor and the results highlighted in real-time. 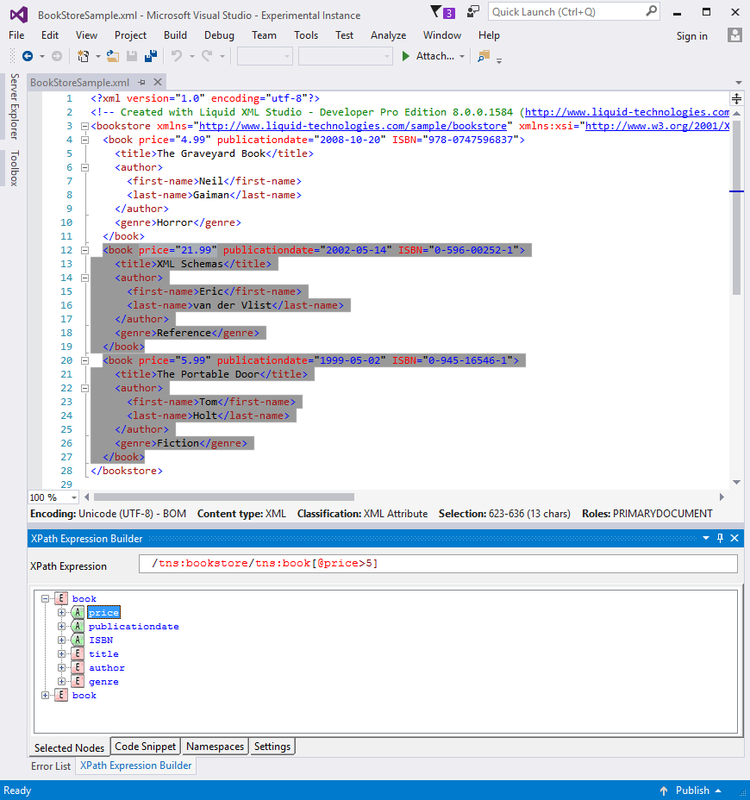 The XPath expression in the tool window supports intellisense based on the content XML Editor, and has tools demonstrating the use of the expression in a number of programming environments. This tool allows you to browse a web service, select a web method, call the method and view the results. Once a web method is selected, the tool automatically creates the SOAP envelope and generates a request message based on the description within the web service description (WSDL). You can then change this request, setting your own values. The web request can then be saved, so it can be re-used later, very useful in a testing and development environment.